Enjoy the splendor of your surroundings. Leave behind what you find. Keep the wilderness as wild as you found it, as if you were never there. That’s the vision of the Leave No Trace Center for Outdoor Ethics (LNT), the Boulder, Colorado-based nonprofit whose mission is to inspire us to protect natural lands for public recreation. Since 1999, Subaru has partnered with LNT on the Subaru/Leave No Trace Traveling Trainer program, which consists of four groups of two educators who crisscross the country in Subaru vehicles teaching people to appreciate the outdoors responsibly. Working with everyone from the general public to nonprofit organizations to governmental agencies, the trainers educate via programs ranging from hour-long workshops to intensive two-day field courses. That message is passionately conveyed via Traveling Trainers like Donielle Stevens and Aaron Hussmann. 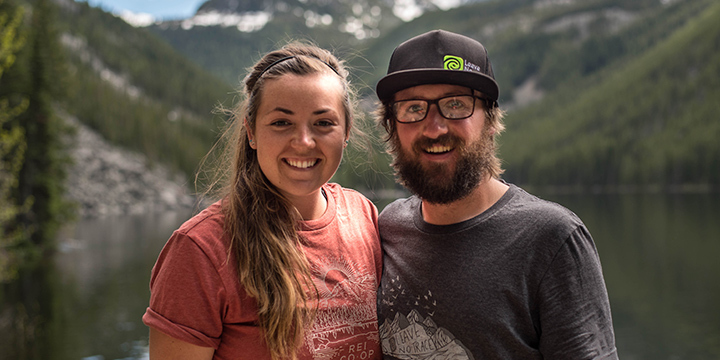 Stevens and Hussmann met at an Earth Day rally, and have recently re-upped for a third one-year commitment to traverse America’s West Central states. Subaru also provides financial assistance for the teams, who interacted with an estimated 15.4 million people last year. Camping out 250 nights a year isn’t everybody’s dream job, but Stevens and Hussmann say the rewards from their perpetual Outback road trip are invaluable. It’s particularly gratifying, they say, when they can make a positive impact at “hot spots” – specific pristine areas being overrun and damaged by visitors.